21st August, 2018 AEMG Global Staff Conference was held successfully in Beijing. The President of AEMG, Mr. Roger LI, Director General Ms. Jenny WANG, all the Vice Presidents ,Directors ,Branch Managers, Chinese staffs and foreign teachers from China and Australia attended the conference. This conference aimed to enhance staffs’ understanding and cognition about the company culture and value, strengthen the cohesion, improve the communication and cooperation between branches and departments, and share the working experience. At the beginning of the conference, Mr. Roger LI delivered the welcome speech, he reviewed the development of Chinese higher education and collaboration programs, analyzed the opportunities and challenges we were facing, and looked forward to the direction of future development. 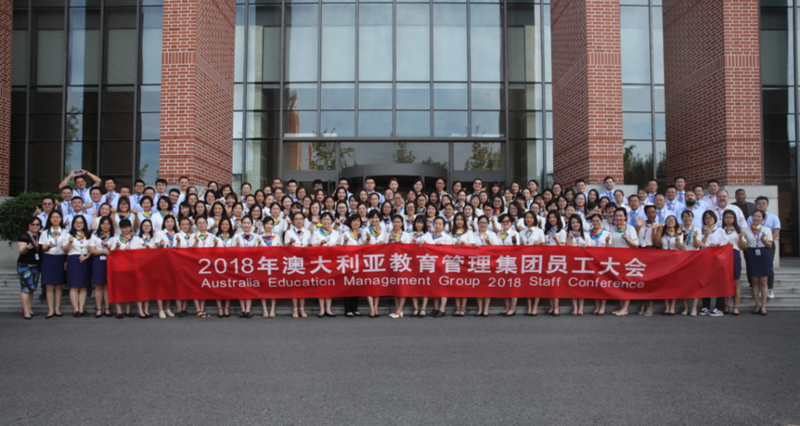 He encouraged all the staffs to take part in the construction of AEMG actively, and make AEMG to be the leader of international education management and the provider of the international projects for Chinese higher education. After that, Directors from Functional Departments briefly introduced their business scopes and team members. the Executive Director of Recruitment and Admissions Division, Ms. Catherine CHU, and Director of Academic Department, Ms. Julia CHEN shared their Mini MBA training results. All the branches also came to the stage to introduce their work and presented their teams. Finally, the conference ended with the happy group photo. 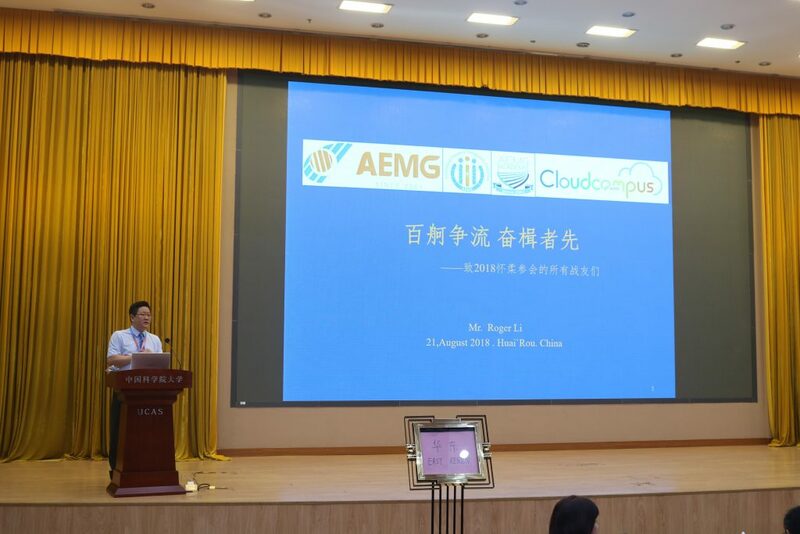 The conference, not only made all the staffs learn more about the vision and plan of AEMG, but also improved their overall qualities, promoted the integration of company, and lay foundation for the further development of AEMG.